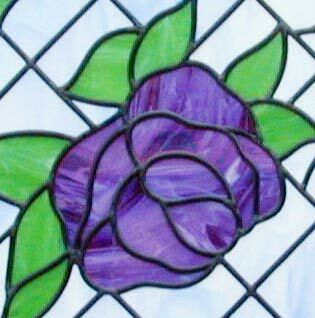 "FOUR ROSES" STAINED AND LEADED GLASS SIDELIGHT WINDOW CUSTOM AT GLASS BY DESIGN. 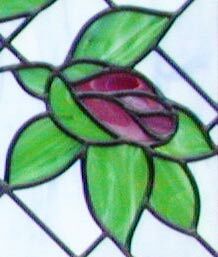 This stained glass and leaded glass vertical roses sidelight window was 23" x 70". 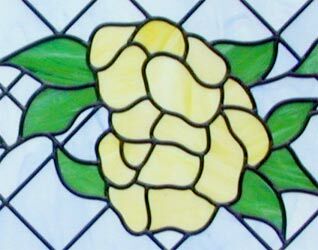 The price for this window custom made to your dimensions would be $245 per square foot. 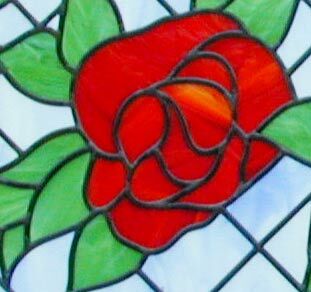 Any one of these roses would make a nice smaller window on its own. Website designed, built and maintained by Marian Eide. 1997 – 2012 Glass by Design – All Rights Reserved.